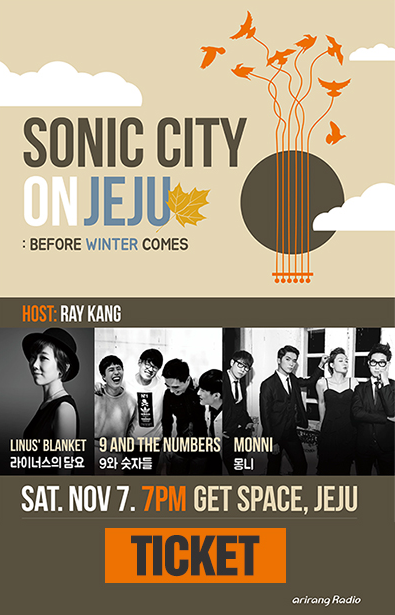 To welcome winter, Sonic City is broadcasting on location from Jeju. The broadcast will feature various live performances, fun-filled segments and prizes, so please be with us on our very first public broadcast! Click this link for more info and to apply for tickets.